If you could look into my office closet just 5 feet from me you would find 2 Lowepro backpacks (one took me around the world), 2 large Lowepro camera bags, 4 small Lowepro bags for my GoPros, Nikon ones, mirrorless camera. 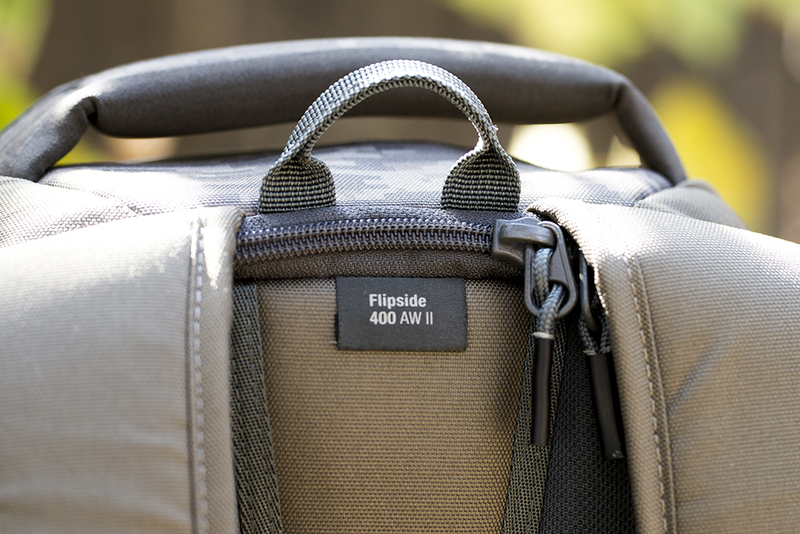 You will also find my Lowepro Passport bag and even a few Speedlight and lens bags. 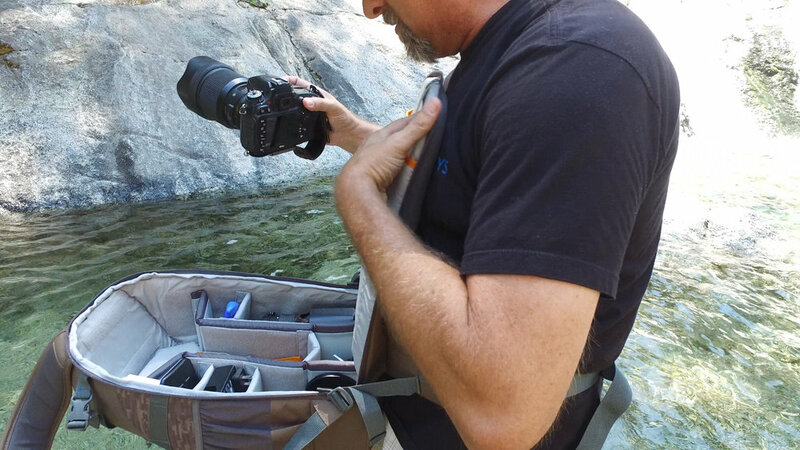 I think you get the picture, Lowepro has been my bag or should I say bags of choice for the past 20 years. Have there been others? Of course there has, I’m a photographer and that is what we do, we buy too many things! Each purchase we believe will somehow miraculously make us a better photographer. My garage is a graveyard of old and broken gear, among the wreckage you will find the remnants of the times I strayed. One ripped (zipper exploded) backpack, a bag that I hand sewed back together and another that the handle ripped right off. These are reminders of the times I cheated, my photo walk of shame. Let’s put all that behind us, today is a new day. Why do I really have so many different bags? Well, I find that a simple large bag works really well for me when I’m shooting on location, these allow me to overpack for the “just-in-case”. Backpacks are my “everyday” throw the gear in the car and take some pictures bag, the sling bags are perfect when working an event and I only need a few things. The smaller bags are great when I’m just taking the mirrorless for a walk. All this to say, I have so many bags because a do so many different types of photography and I bet you do as well. First off, yes it comes in black… But forget black, it also comes in a digital camo pattern with silvery-bluish accents. This thing looks awesome! I instantly saw myself walking through the woods, climbing mountains and making a fashion statement with my friends! So, it passed the first test, I think it looks great and I feel good wearing it. The “Flipside” feature... That is, accessing your gear from the back seemed a little weird to me so I honestly never really looked at them that close. Boy, was I wrong? I had no idea that I could wear this pack and access everything without ever taking it off or setting it down! No. really! All I have to do is keep the waist strap in place, take off the shoulder straps, turn the pack around my body to the front and, voila! There are the zippers and behind them sits the tools that allow me to make a living. I have to say, the first time I tried this feature my heart jumped as the bag flopped open, I really expected everything to come crashing to the floor. But guess what, it didn’t. Everything was presented in front of me as if it was lying open on a table. Great job whoever thought of this design! We are now two for two. The real test was how much could I put in the thing. Well, I was able to but my Nikon DSLR with my giant Sigma 85 ART lens on it, at 70-200mm lens, 24-70mm, a Speedlight, 5 batteries and charger, my SPF 100 sunscreen bottle (yes, I’m bald) as well as a bunch of filters and trinkets with room left over. At 21.5 liters this is the right size for everyday shooting! So, it passes the third test. So how comfortable is this pack? I can tell you I have now taken it on two hikes with my kids and it not only comfortable but the way they designed the back padding to allow maximum airflow was the reason my back was never a sweaty mess. While the back was comfy I found that the side straps at my waist was the biggest improvement over every other pack I have used, this thing hugged my waist and felt both secure and soft at the same time. This truly is the most comfortable camera backpack I have ever worn. The final test was not planned, while hiking into a waterfall with two of my kids we got into a little summer rain. Let me rephrase that, while hiking we were hit by a Northern California summer downpour, the temperature dropped from 95 degrees to 70 in less than 5 minutes, it was wonderful! The best thing was, I took out the all weather cap and placed it over the pack and walked about 40 minutes back to the car only to find every piece of camera gear… Bone dry! Home run! Thank you Lowepro, you knocked it out of the park! We both give this pack our highest rating, 5 Chopsticks! How to make great portraits in full sun!